Miriam Gallegos, humbly serves at Nuestra Señora del Rosario Church for the past 13 years. She is an active member in the parish helping in Religious Education Classes; participanting in Nocturnal Adoration, involved in youth group; and by assisting in the parish kitchen. She is currently enrolled in faith formation courses with the Diocese of Laredo. She attends Vocation Days for Women at Casa Guadalupe as she discerns the call to serve God. 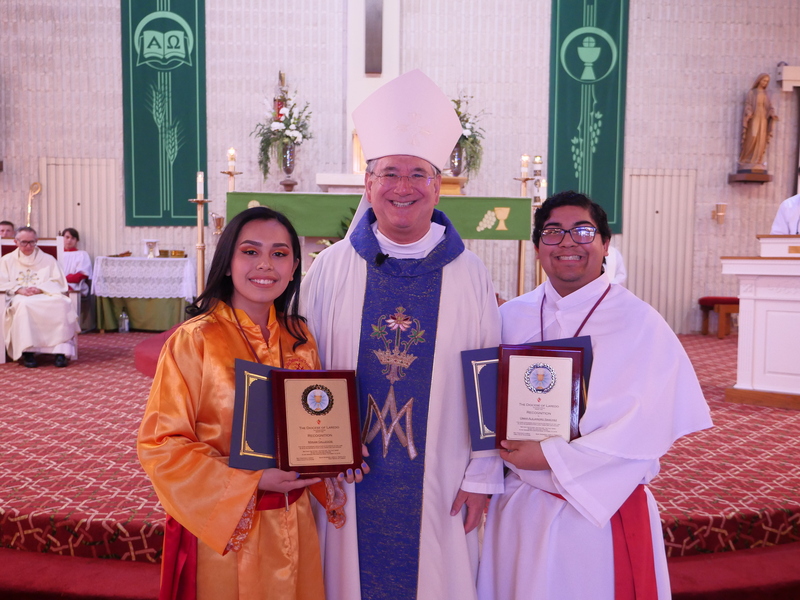 As an altar server, she serves every Friday on Sacred Heart of Jesus, praying for the gift of service to continue her mission serving the community. Omar Alejandro Sanchez, is a young adult serving his church with enourmous zeal. He has been an altar server since May 2004 for a total of 14 years. He helps in his parish Jamaica, visits the sick and is active in youth group. He is also faithful to serve on Sunday Mass. When offered to work or do community service hours, God always comes first! He has attended Casa Guadalupe House of Discernment for Vocation Days for Men to reflect on the call of God to the priesthood or religious life. He continues to pray for the virtue of love to be able to transmit it to his community. May the Lord ocntinue to shower graces upon all of the altar serves of the Diocese of Laredo that they may be a sign of love and unity to others.